Where does a genius go for a holiday? Apparently it is Gran Canaria where Stephen Hawking makes the most of the clear skies and lack of light pollution which offer some of the best views of the universe. 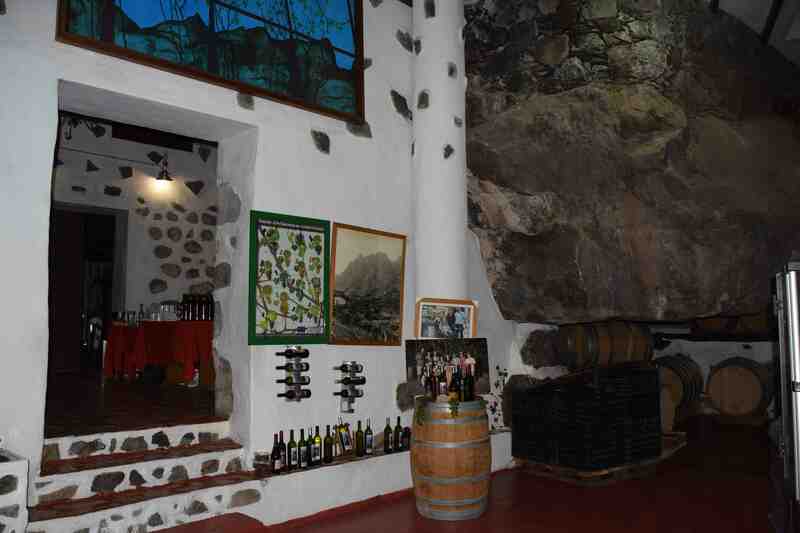 And on at least one trip he visited the Finca la Laja, at San Pedro near Agaete in the north west of the island – there is a photo to prove it in the wine cellar – above. 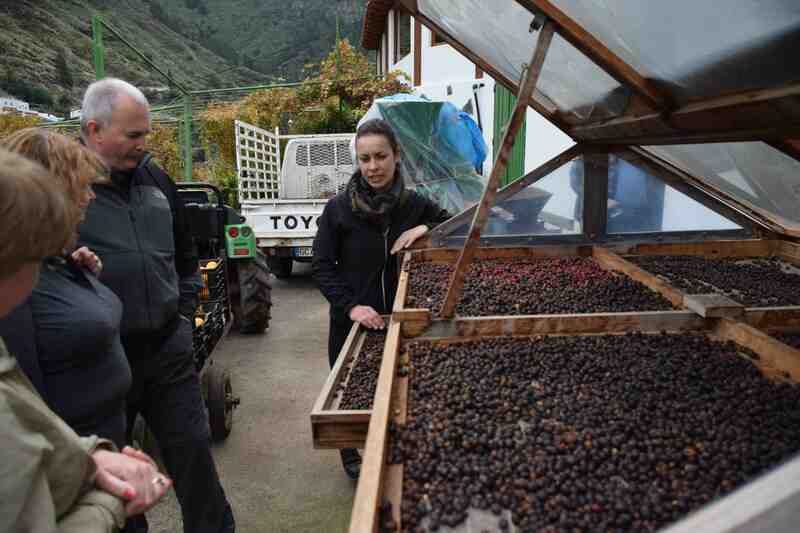 But I went solely because it is supposed to be the most northerly commercial coffee plantation in the world, and possibly the only one in Europe. 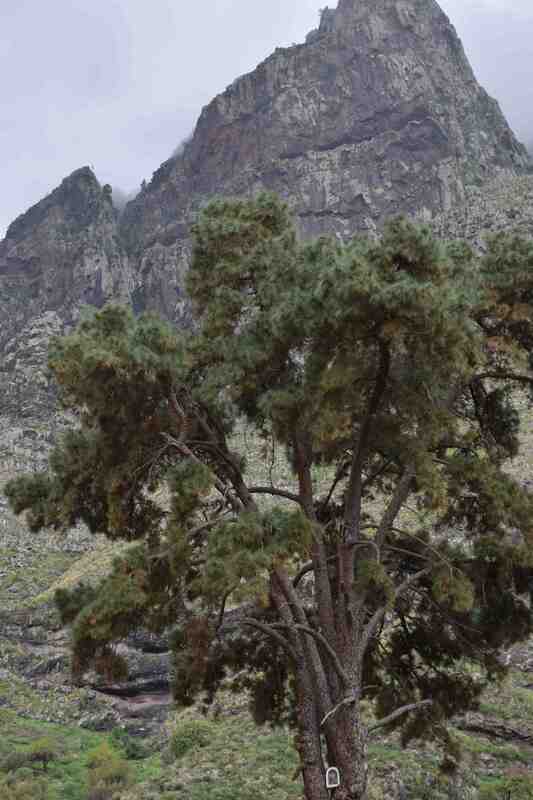 But before we get there, we have to mention the inevitable Virgin of the Pines. 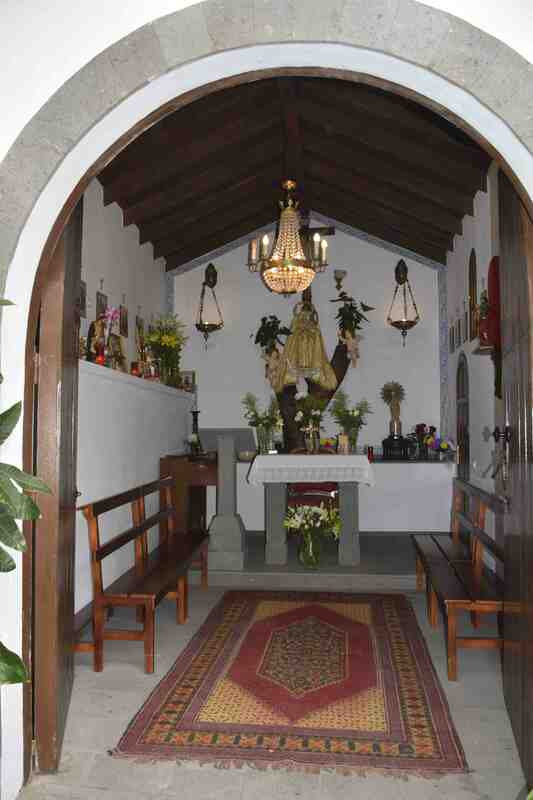 I thought that the famous one in Teror was the only one but apparently a virgin was seen in the pine tree here too and, as a consequence, a chapel was built. One distinctly interesting thing about this particular pine tree (Pinus canariensis) is that it is a lonesome pine and grows at much lower elevation than most, so has some special botanical interest, seemingly more tolerant of higher temperatures than most – pine forests tend to be the uppermost vegetation types on the island, way above the areas where the canary date palm grow. 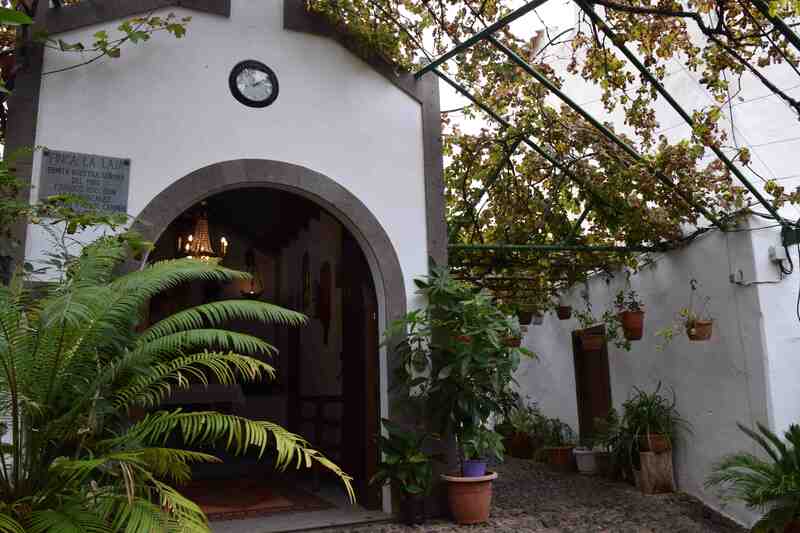 Anyway, the point of going is to see the fruits and coffee growing and for just 6 euro you get a guided tour and then samples of three of their wines, some snacks and some coffee – which has to make it the best value trip on the island. 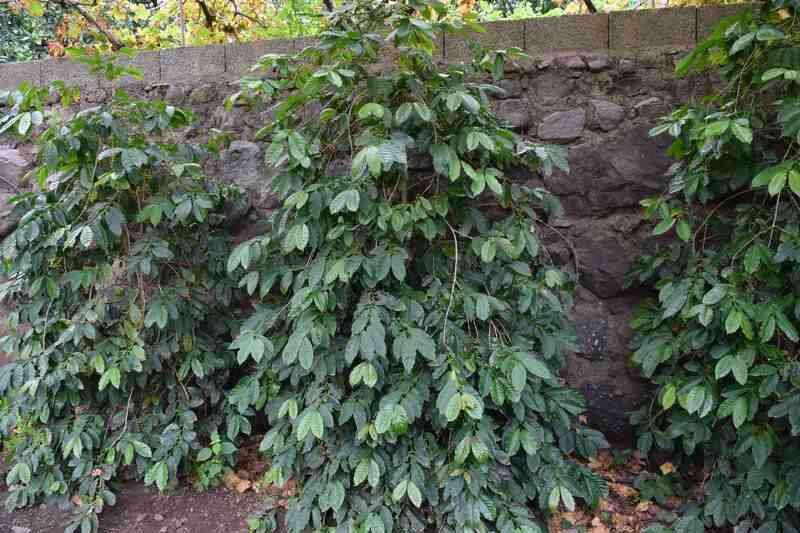 The coffee has to be grown in shade, largely under the vines and, of course, it was not in bloom or in red fruit in January. But there were some ‘cherries’ drying out. 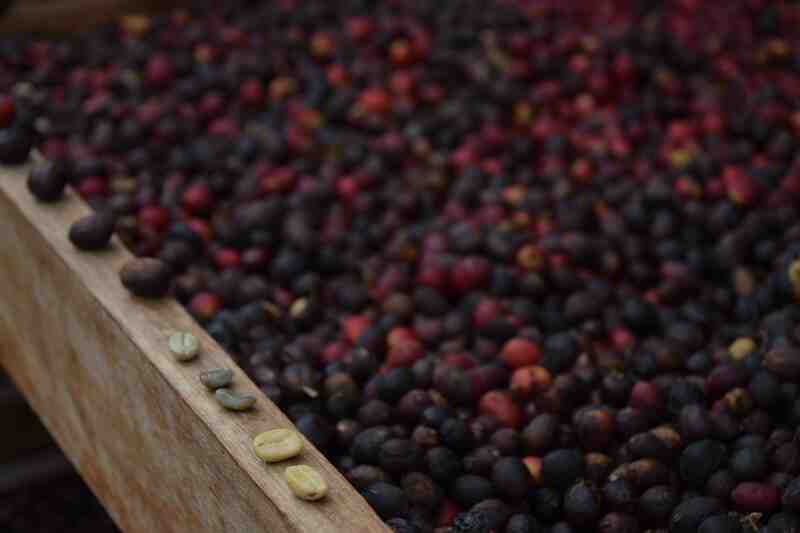 They are sun-dried, even on a wet day as when I was there, and each contains two beans. 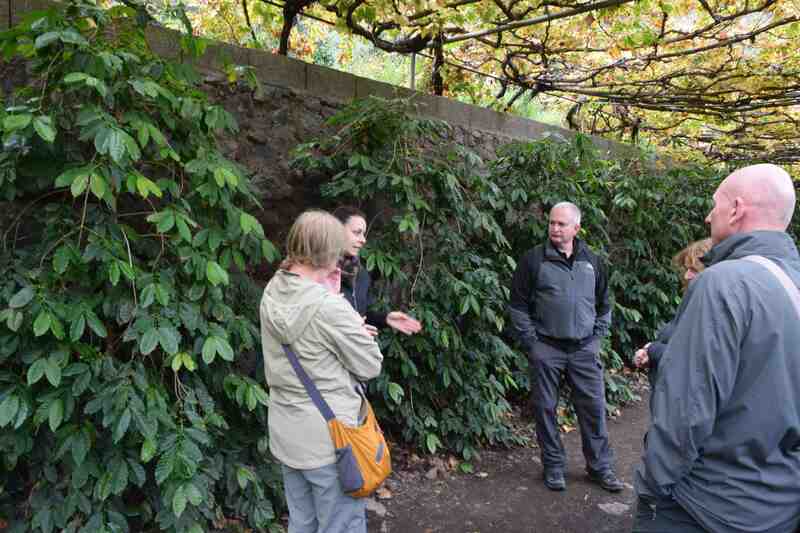 Here the cherries are all hand picked, as they ripen, so the finished product is expensive – a 250g bag is 15e. Funny how your sense of perspective goes out of the window on holiday – while I would hesitate to pay £5 for a bag that size in the UK it goes without saying that I bought some! 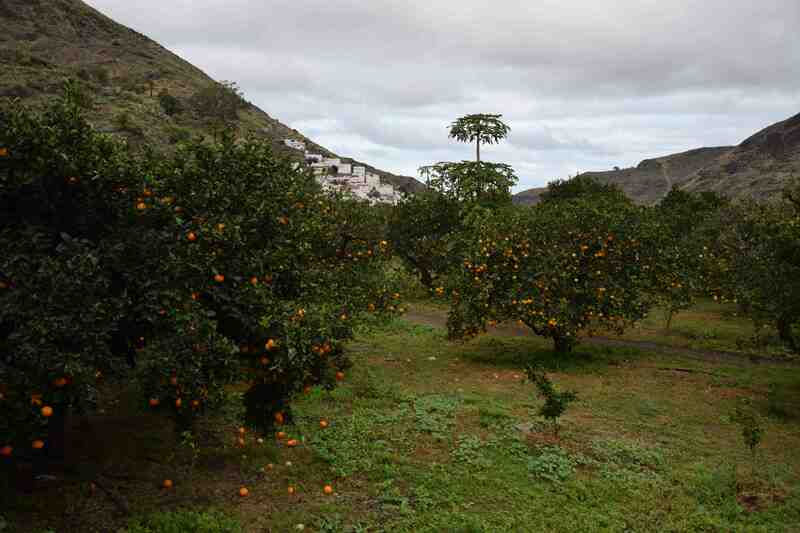 Many fruits are grown here, including lots of oranges. 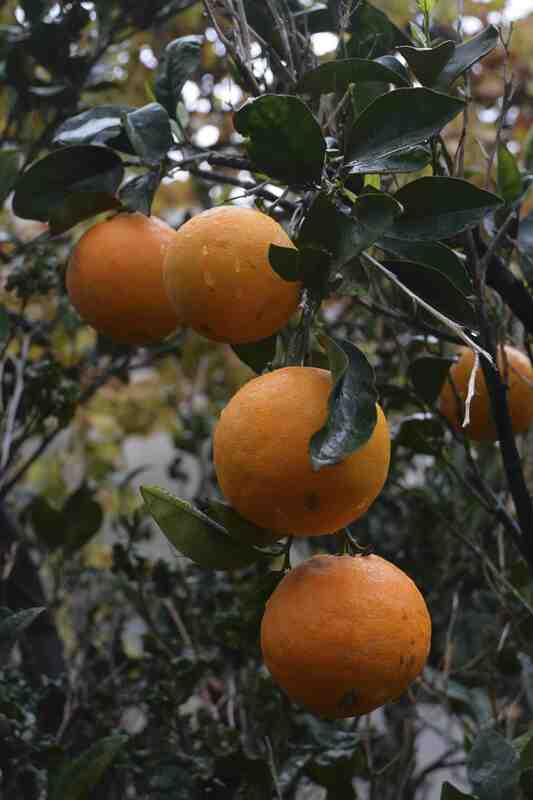 These are ‘Washington Navel’ a popular variety throughout the world and it is reputed that the oranges from here are the best on the island. They sell them and I can confirm that they are sweet and juicy and do not need you to ‘steel yourself’ before eating them. the cherries look wonderful also lovely fresh oranges .